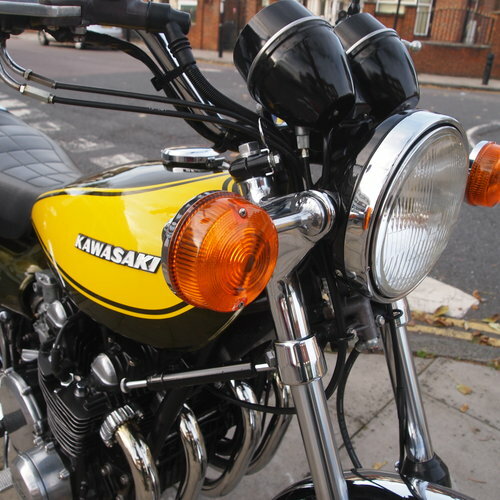 Original motorcycle, this bike is the real deal, first to make the effort and come and see will want to buy. 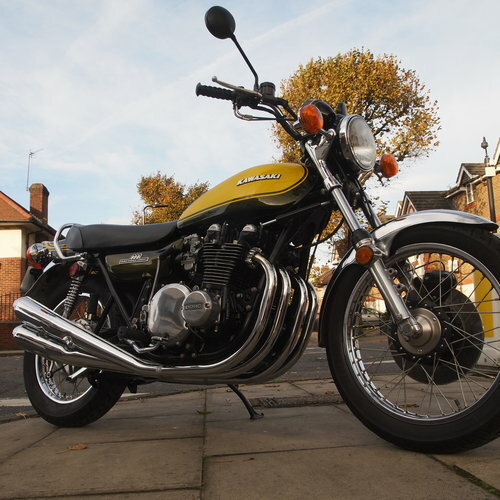 Iconic Z1 900 motorcycle is a real blast from the past. 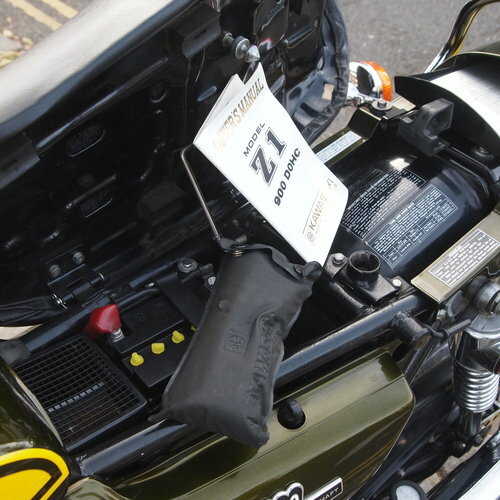 Lots of documentation and various trophy's won at different events, Won Best Standard at the Bucks Rally Kawasaki Z1 Owners club in 2009 and 2011, Also Won at the 2014 Donnington Park V.J.M.C.C on there club stand. This is the actual bike which was also used by Kawasaki on there stand at the Ace Café Kawasaki day in 2017. 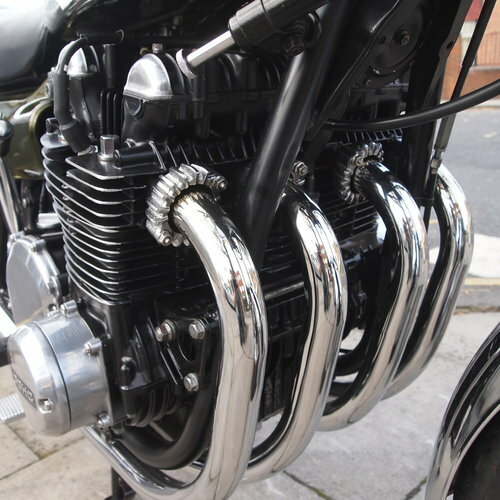 All in all probably one of the nicest Z1's in the UK. 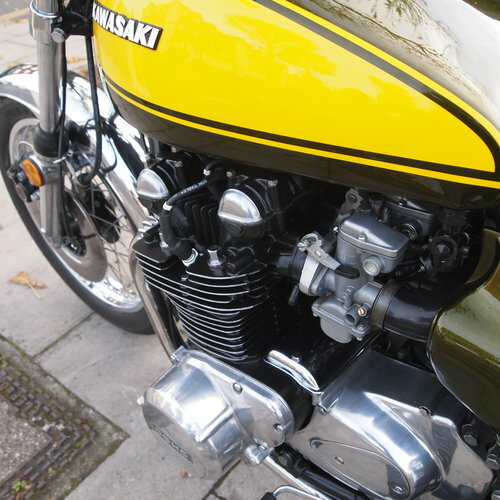 PLEASE NOTE: This 1973 Kawasaki Z1 900 Motorcycle is advertised on eBay UK under item number 132859995245 where you will see 20 more detailed pictures. 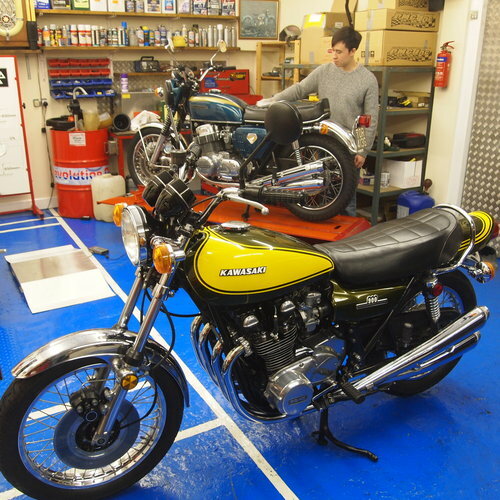 Please also note that the very rare 1968 Honda CB750 Sandcast in the second picture has been sold.